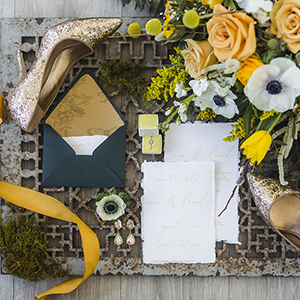 A Good Day, Inc. is a boutique design firm specializing in eclectic, one-of-a-kind event stationery with a touch of the avant-garde. We use unconventional materials because we believe that touch can play a key role in your guests’ experience. 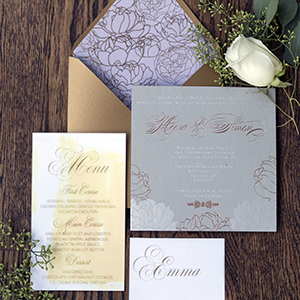 From save the dates and invitations to day-of pieces like signage and menus, we draw inspiration from fashion, architecture, and our clients’ aesthetic. Whether it’s the latest Alexander McQueen collection, a Gaudi building, or vintage wallpaper, we aim to create work that will delight and surprise your guests. 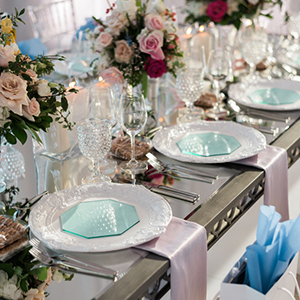 We work with event designers as well as directly with couples and start out by discussing their aesthetic and the feel of the event. 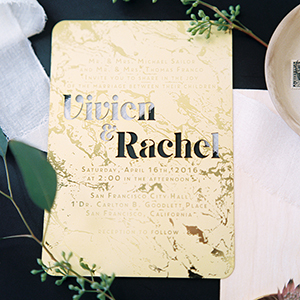 We show a range of possible materials – from paper to more unusual ones like cork, wood, wallpaper and laser cut metals – in order to curate a design that’s truly unique to the couple. Once the materials are selected, we finalize a budget and launch into concepting. We present the client with several concepts and then refine their favorite design until they are happy and the proof is approved. We then put the design into production, which can take from 3 to 12 weeks depending on the complexity and the selected materials. We can take care of assembly and shipping or the client can choose to assemble the pieces themselves. A Good Day, Inc. was founded by Jordan Kentris, an experienced designer who has worked with major brands like Pepsi, Visa, Toyota and Mercedes. His passion for striking design and amazing user experience has brought him to the world of weddings and events, where he delights in collaborating with clients who have a unique vision for their event.